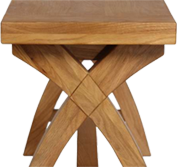 Top Furniture has teamed up with Deko to offer our furniture customers some very competitive finance options in conjunction with Close Brothers. Interest free credit on all orders over £500 ! Click on the Finance Calulator link on the product pages of items valued at over £500 to view the monthly payments for the different payment periods and finance rates available. Choose to spread the cost of your furniture between 6 and 48 months. 10% minimum deposit, £500 minimum loan amount. Interest free credit for 6 months on all orders over £500. Spend over £1500 to get 0% finance for 12 months ! Consumer credit service provided by Deko in association with Close Brothers Retail Finance. Deko is licensed by the Financial Conduct Authority (Consumer Credit Licence: 0616240). For more information please refer to our frequently asked questions or visit https://www.dekopay.com/. To apply for finance your order total must be £500 or more.